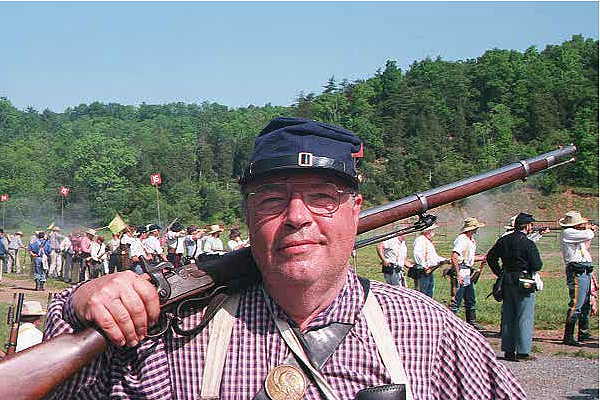 This section of civilwarguns.com provides access to the archives of Joe Bilby, featured columnist for THE CIVIL WAR NEWS since 1991. These columns provide insight and information into the shooting and use of muskets, carbines, blackpowder revolvers and artillery of the War Between the States. Periodically, new articles are added to this database. Additionally, information about books which have been authored by Joe Bilby or articles which appear in other publications will also be included at this site. For a complete list of available articles on this site , click on one of the years of original publishing listed below. Joseph G. Bilby was born in Newark, New Jersey. He received his BA and MA degrees in history from Seton Hall University and served as a lieutenant in the 1st Infantry Division in Vietnam. Mr. Bilby is Supervising Investigator of the New Jersey Department of Labor's Central Investigation Office, has taught military history on the community college level and lectured widely on the Civil War. 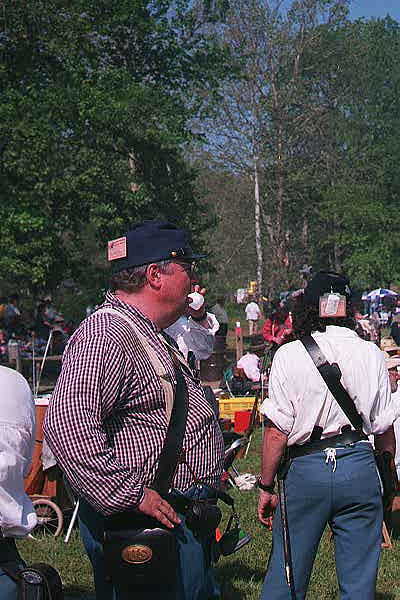 He is the author of over 250 articles on New Jersey and military history and Outdoor subjects and is a columnist for The Civil War News, Historical Firearms editor for Black Powder Times and contributing editor for Military Images Magazine. He has appeared on the History Channel's Civil War Journal and the Discovery Channel's Discovery Magazine as an expert consultant on the Civil War and 19th century firearms, wrote the liner notes for the CD album The Irish Volunteer, was a Panelist for the NJ Historical Commission's 1996 seminar on Civil War Studies and is a Trustee of the NJ Civil War Heritage Association and member of the Development Board of The Robert E. Lee Civil War Round Table's Library and Research Center. Mr. Bilby is the author of Three Rousing Cheers: A History of the 15th New Jersey Infantry from Flemington to Appomattox, Forgotten Warriors: New Jersey's African-American Civil War Soldiers, Remember Fontenoy: The 69th New York and the Irish Brigade In the Civil War and co-editor, with Steven O'Neill, of My Sons Were Faithful and They Fought: The Irish Brigade At Antietam, all published by Longstreet House, Hightstown, NJ. He received a grant from the New Jersey Historical Commission to assist in the research for Three Rousing Cheers, and Forgotten Warriors received a publication grant from the same institution. Remember Fontenoy was awarded the 1997 William Donovan Award for Excellence in Military Literature and, in a softbound edition as The Irish Brigade in the Civil War, published by Combined Publications, Conshohocken PA, was a Military Book Club selection. Mr. Bilby's Civil War Firearms, also published by Combined, was a Military Book Club selection as well, and received the Louisiana State University Civil War Center's Award of Excellence. His most recent book is Remember You Are Jerseymen: A Military History of New Jersey's Troops in the Civil War, co-authored with William C. Goble and published by Longstreet House. Mr. Bilby is a member of the Outdoor Writers Association of America, the Irish Brigade Association, the Society of the First Infantry Division and the North-South Skirmish Association's 69th New York. He lives at the New Jersey shore with his wife and three children. To contact Joe Bilby by e-mail click here.